Comfortable, durable, and versatile. 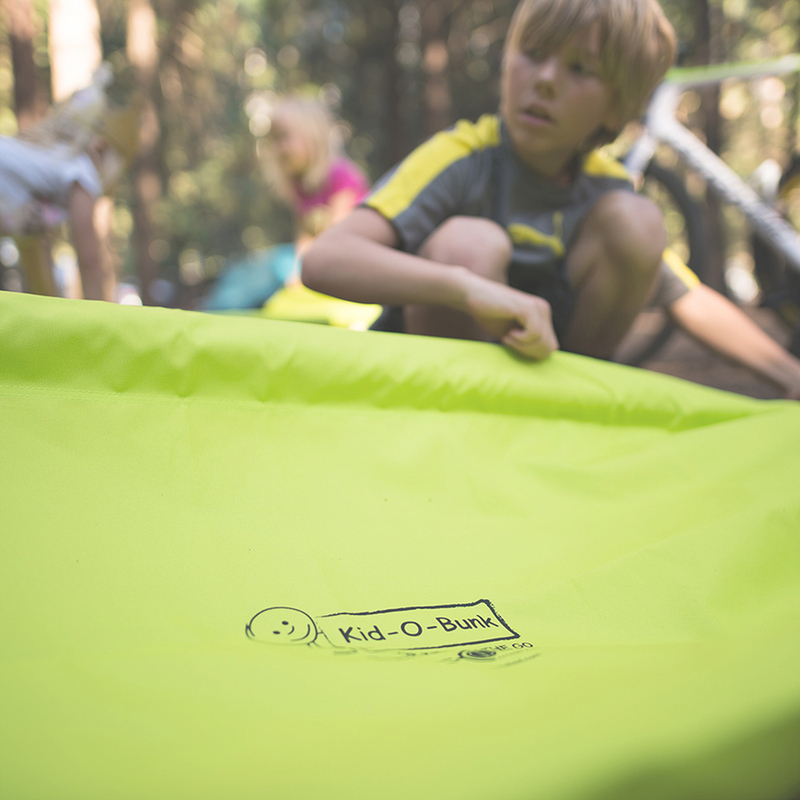 For your next camping adventure, Disc-O-Bed has your back. 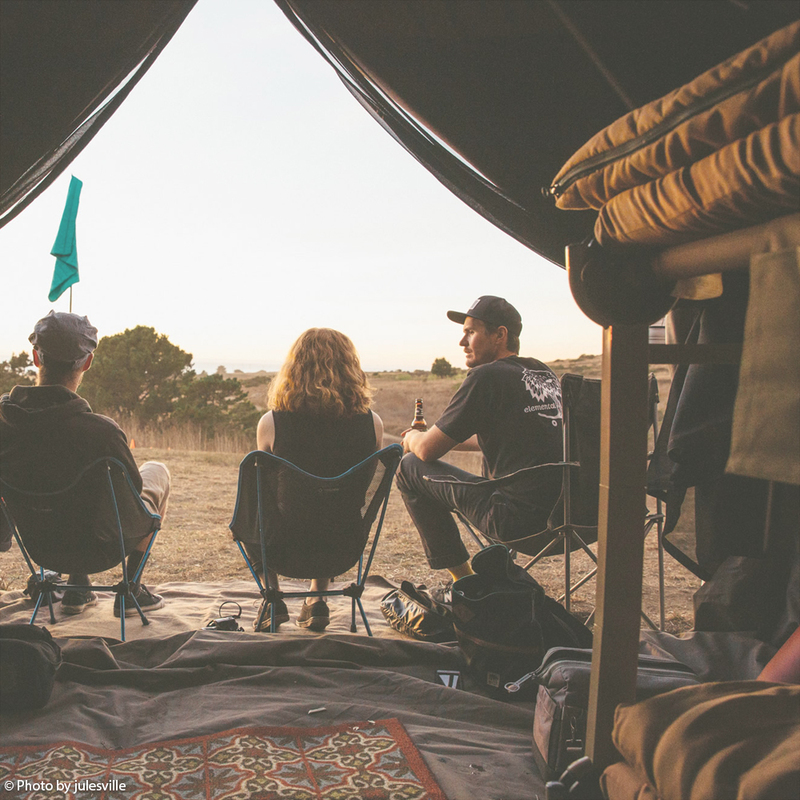 Disc-O-Bed with its patented modular disc system is rugged enough to withstand the demands of the most extreme campers, yet soft enough to provide the right amount of support for a restful night of sleep. 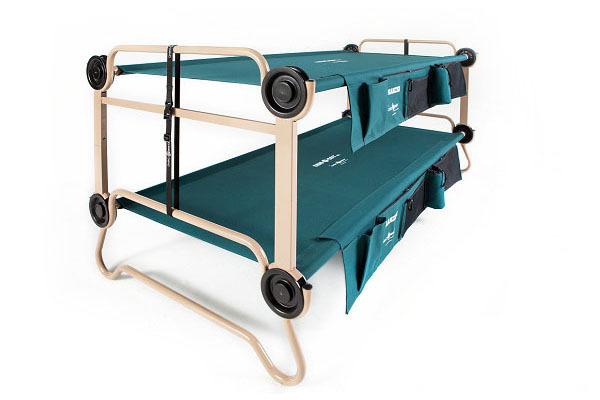 Real world-tested by the Red Cross and the U.S. Army, the Disc-O-Bed is built for durability and all round comfort. 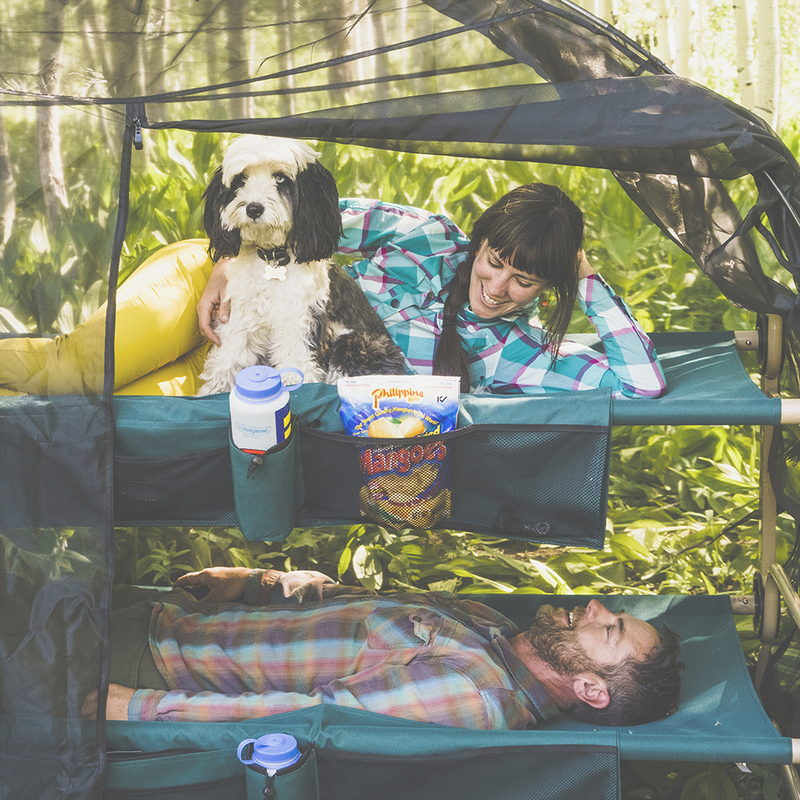 The Disc-O-Bed can be assembled in minutes without any tools. 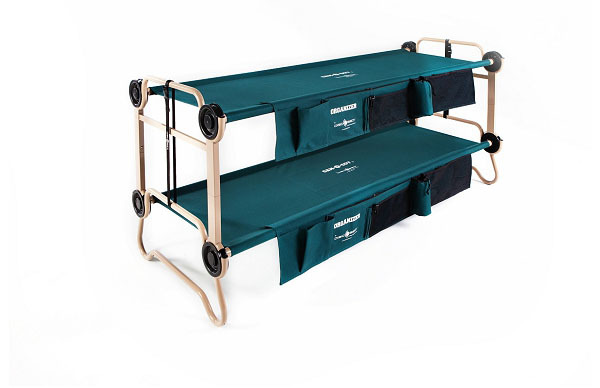 In bunk formation, there’s sleeping room for two and when the sun comes up, convert the beds to a bench for added versatility. 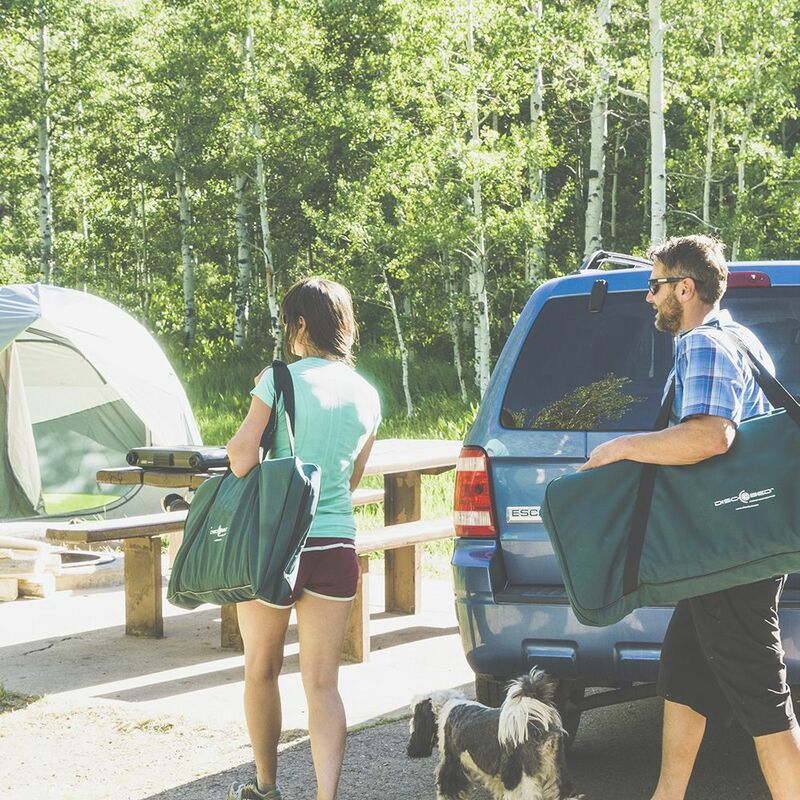 And when it’s time to head home, the Disc-O-Bed can be quickly disassembled and stowed away. 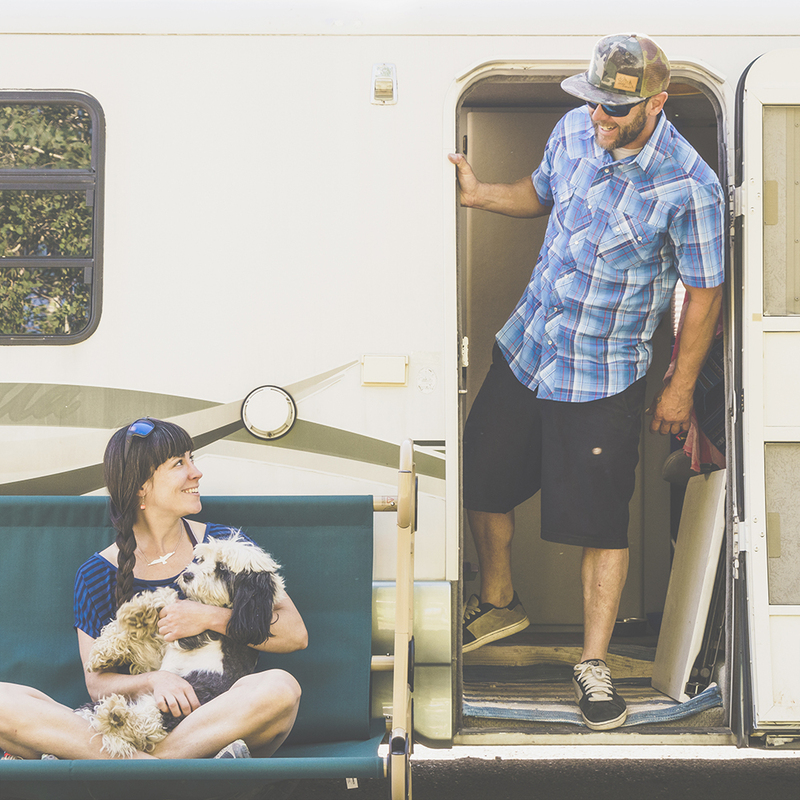 Load up and customize your bunk with a number of add on accessories. Stretch out. 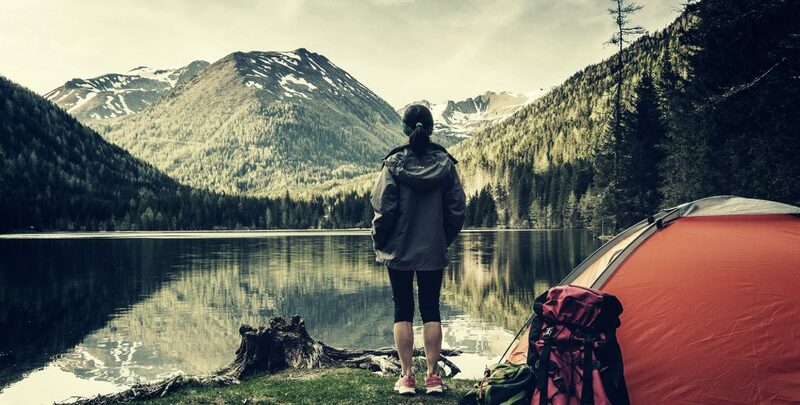 Sports a longer and wider sleeping surface compared to beds and sleeping pads. You’ve got room to move. Pack it in. 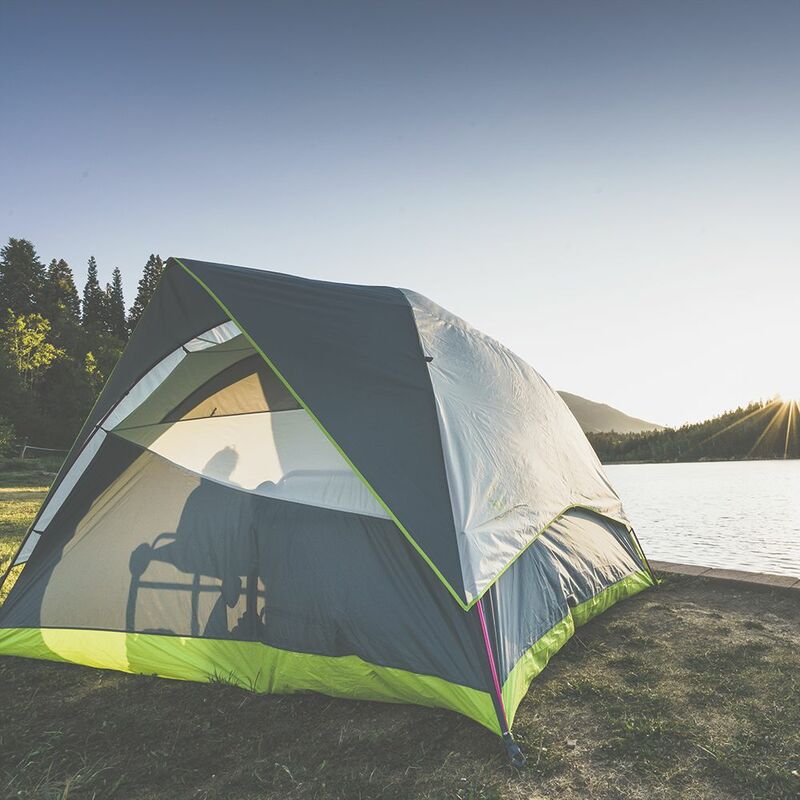 Fits inside most camping tents in either a single and bunked configuration. 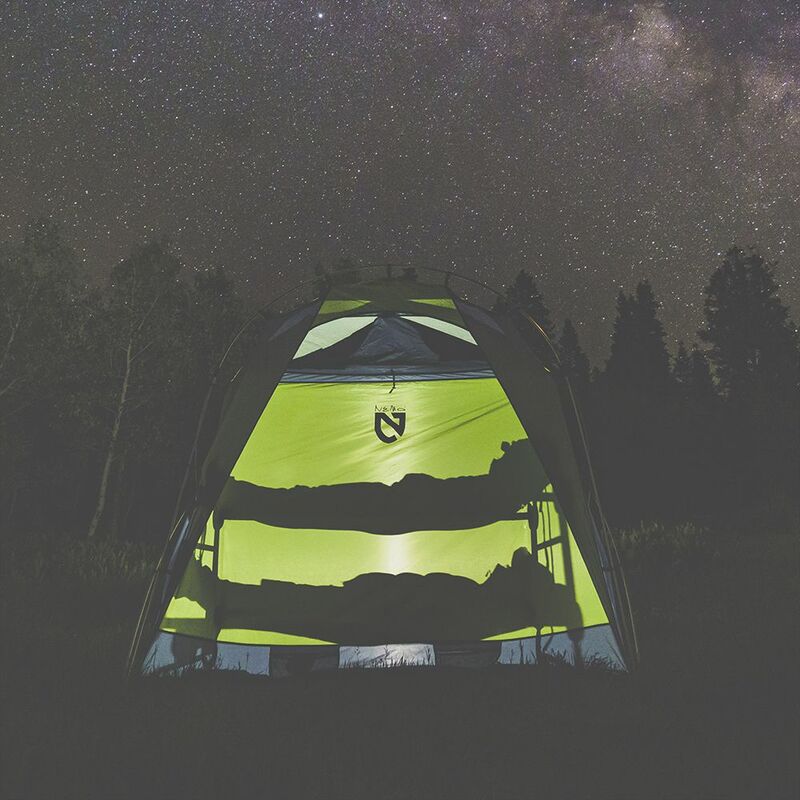 Make the most of your tent space by going vertical. No tools? No problem. With its modular disc system makes tool-free construction a breeze. 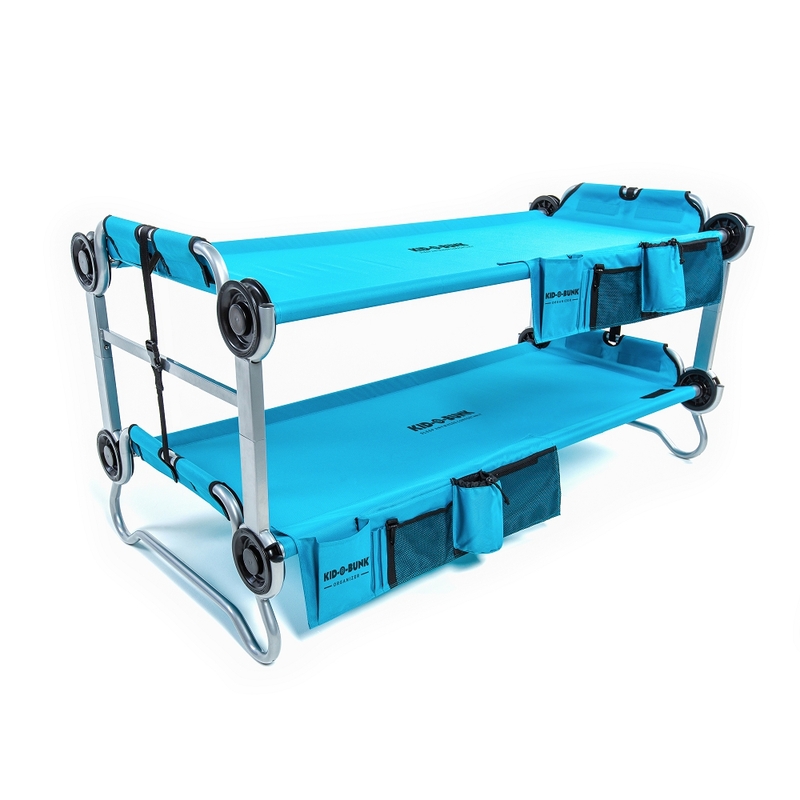 Pack up is easy, the beds can be quickly disassembled and stored in the included compact carry bag. Stay high and dry. 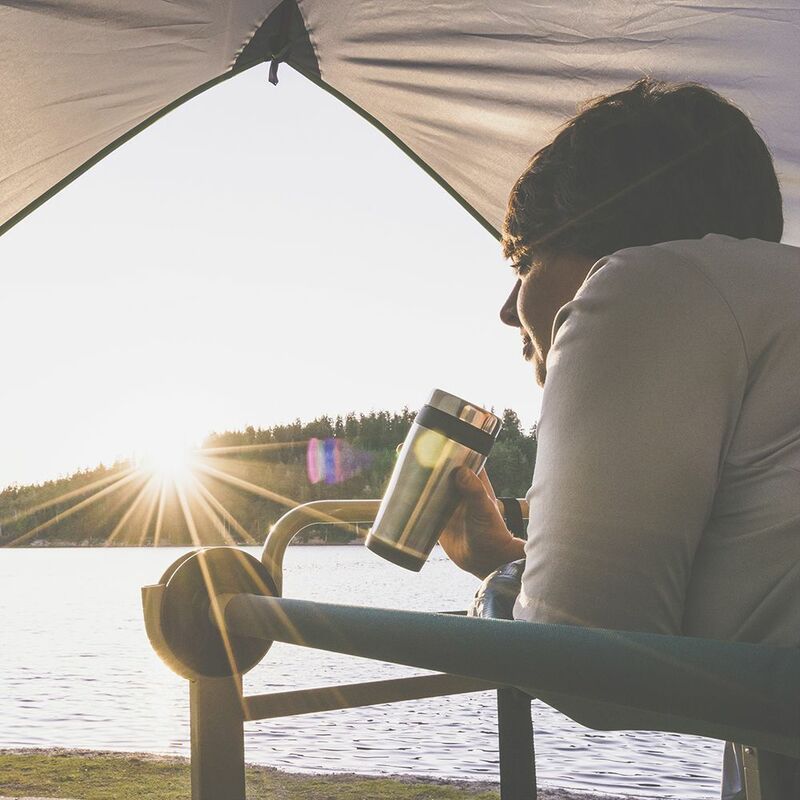 Features a unique rounded base to prevent tent damage while keeping your body fully supported and off the ground. Use the extra room underneath for quick-access storage. Take a seat. 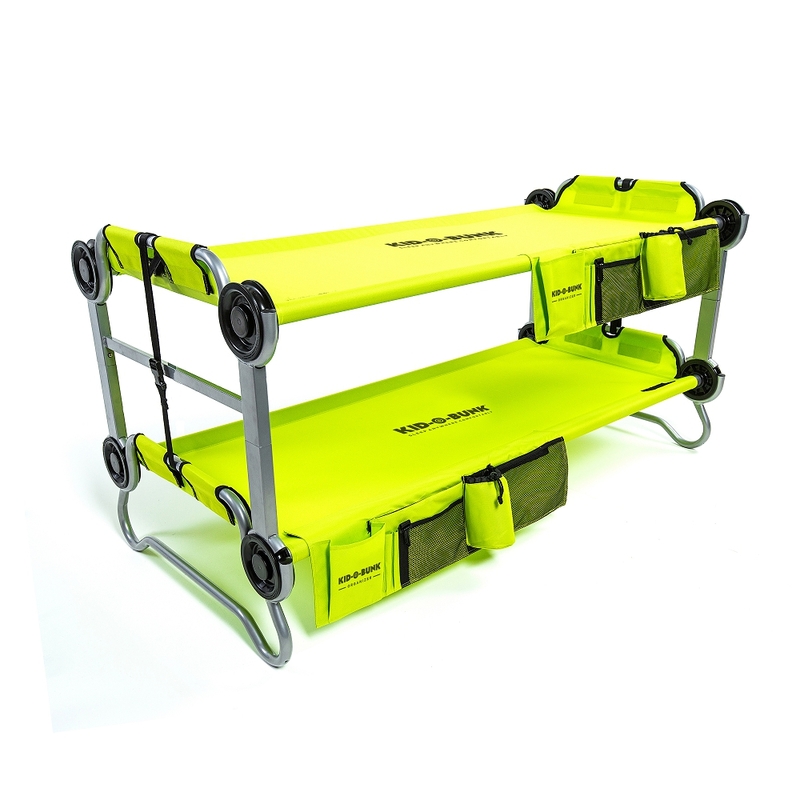 Convert the bunk to a stable and supportive bench in a few simple steps. When it’s time to tuck in, snap the system back in bunk formation or individual beds quickly and easily. Load up. 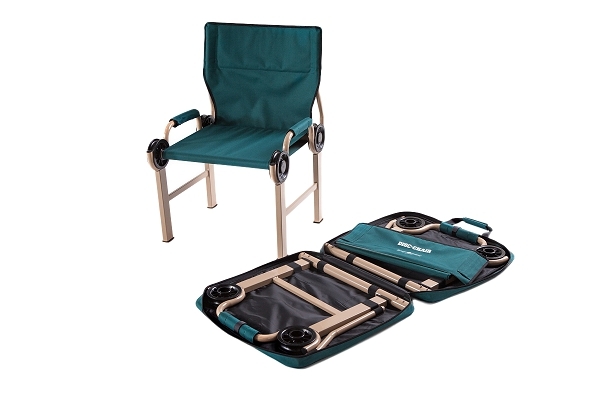 The included side organizers keep your gear off the ground and out of the way for the ultimate in camping luxury. Check out all the accessories in the Shop for more customization options.